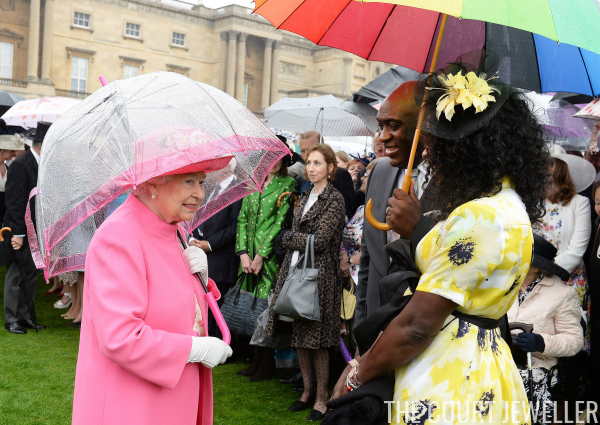 Queen Elizabeth II wasn't the only British royal lady at Tuesday's garden party. Here are three more princesses who showed up in their bejeweled best! 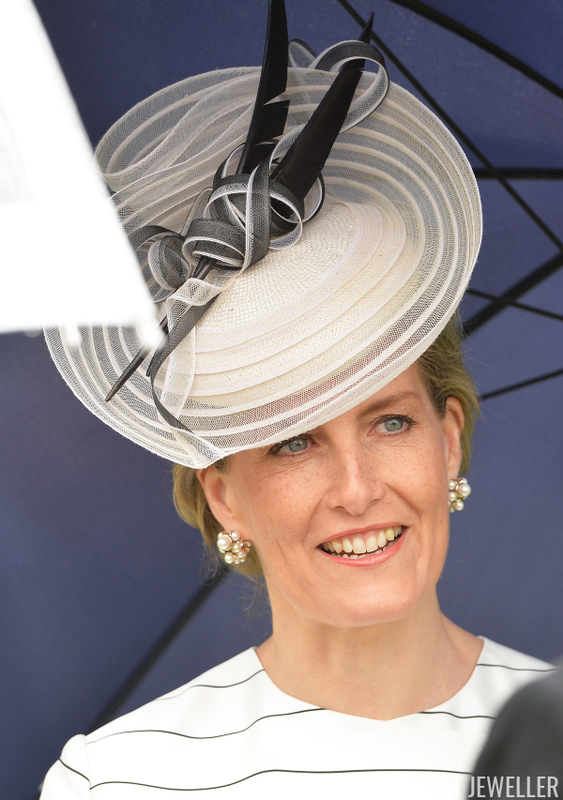 The Countess of Wessex wore a pair of earrings that we saw quite a lot last summer: cluster earrings by Dior. 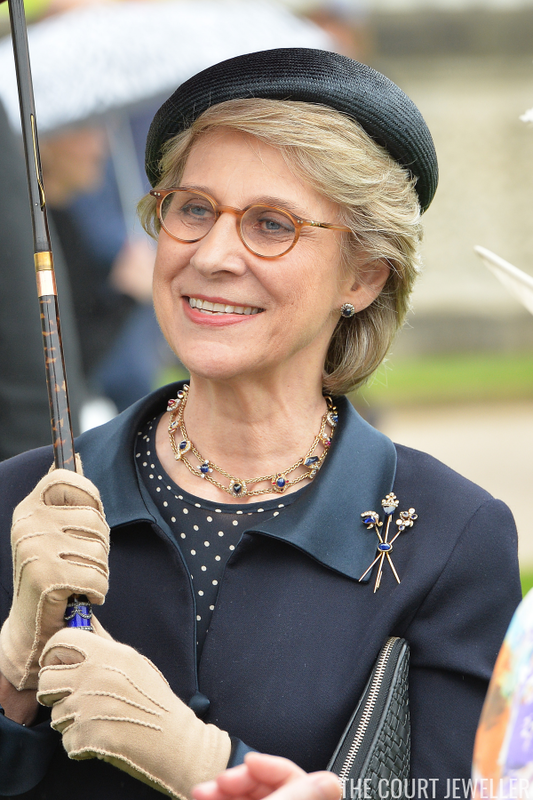 The earrings are made of resin beads designed to resemble pearls. 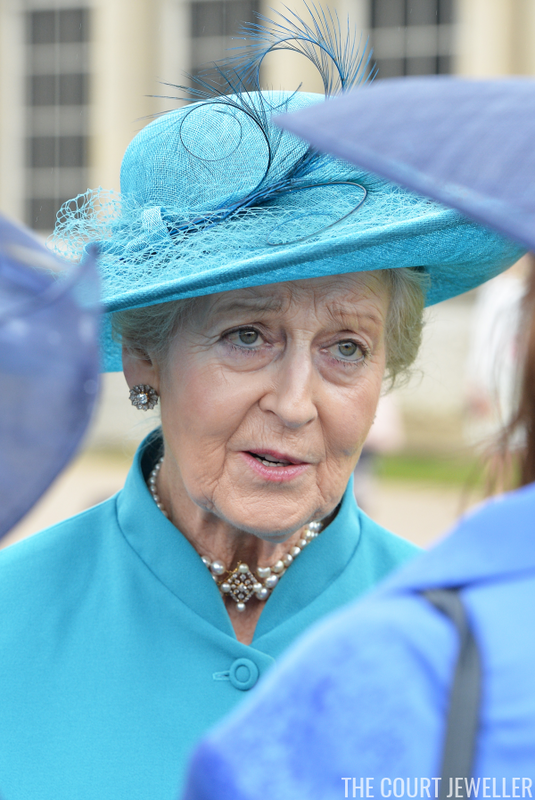 Also wearing cluster earrings: Princess Alexandra, who paired hers with one of her favorite pearl choker necklaces. 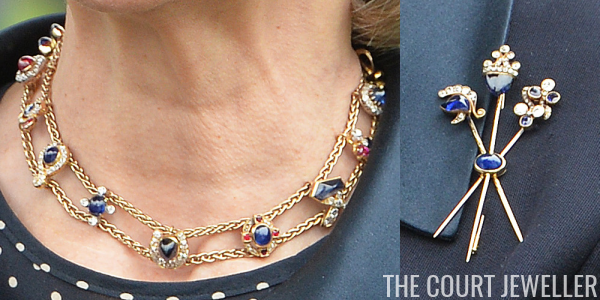 Here's a closer look at the necklace and the brooch, which features intriguing heraldic motifs.